Industrial robot arm. 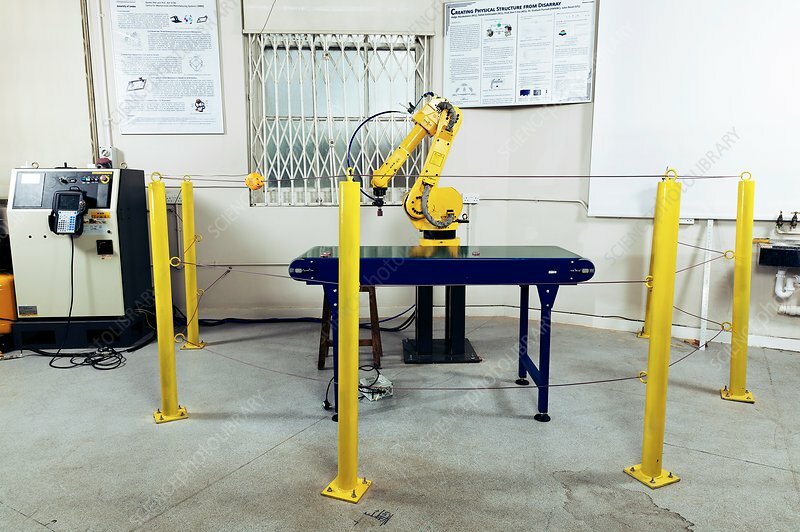 Standard robotic arm using on factory production lines. This type of robot has little spatial awareness and is programmed to operate precisely and continuously.